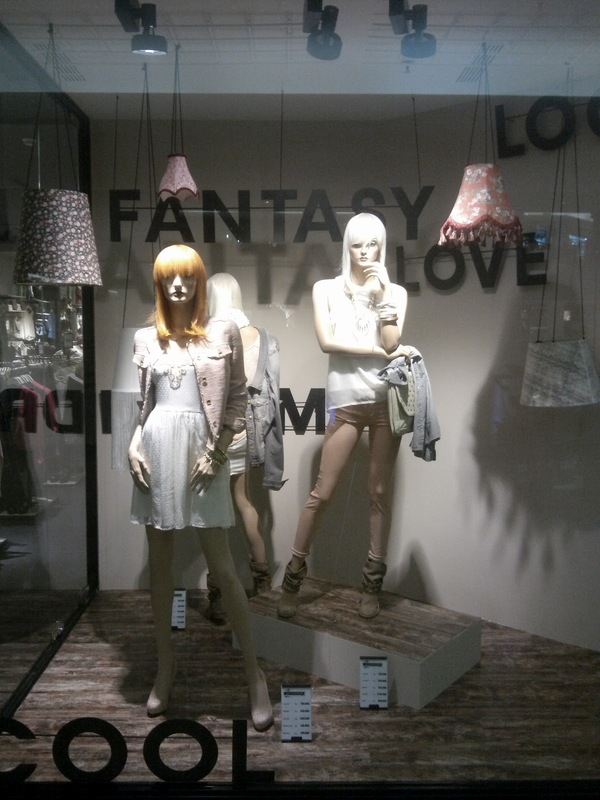 The latest addition of Stradivarius 'words' window display is the lamp caps. 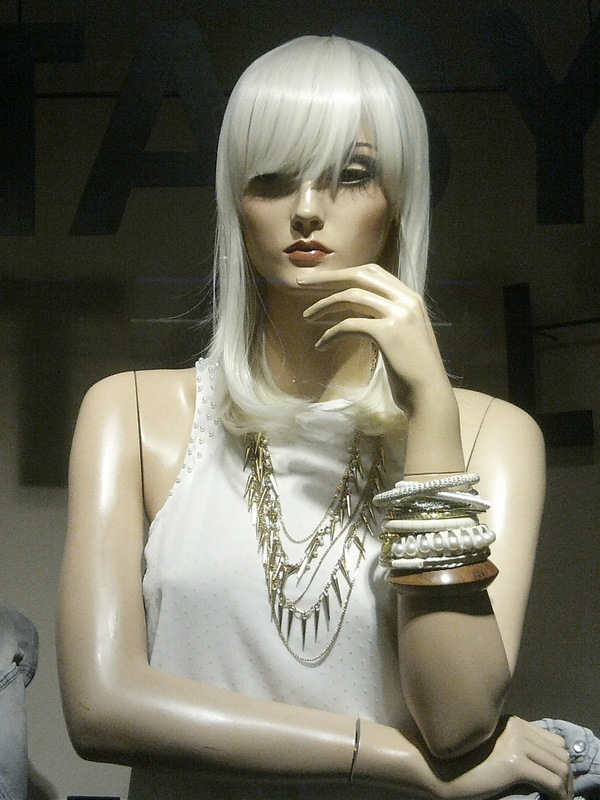 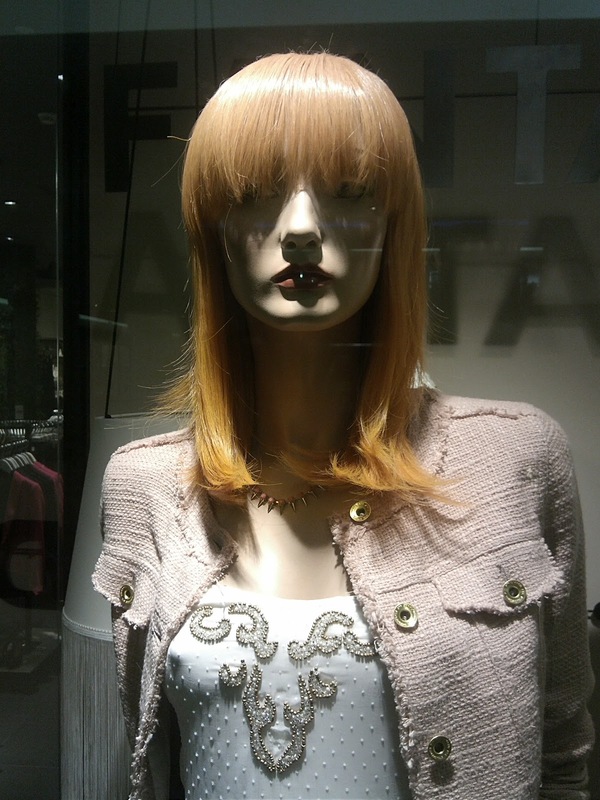 They are hung surrounding the mannequins that, in Plaza Indonesia, have a silvery brunette and light brown hairs. 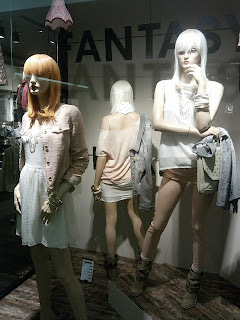 Their pose look loose, relax, and even one of the mannequin turns back to the wall.